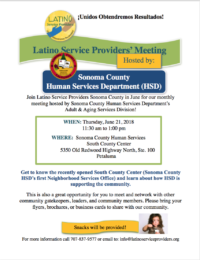 Join Latino Service Providers Sonoma County in June for our monthly meeting hosted by Sonoma County Human Services Department’s Adult & Aging Services Division! 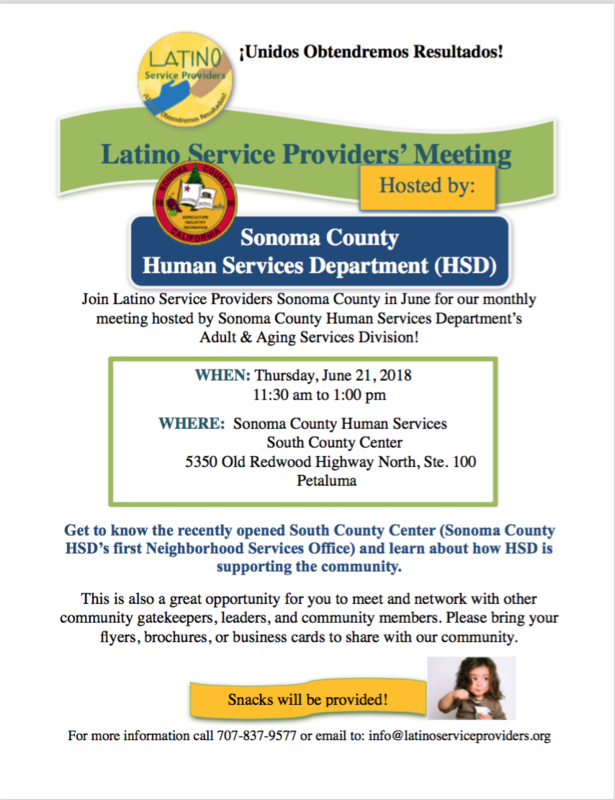 Get to know the recently opened South County Center (Sonoma County HSD’s first Neighborhood Services Office) and learn about how HSD is supporting the community. This is also a great opportunity for you to meet and network with other community gatekeepers, leaders, and community members. Please bring your flyers, brochures, or business cards to share with our community.